Hi, I’m Krystian Kolondra, Manager for Opera Desktop. 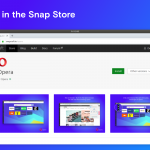 After our recent post on the vision behind Opera 15 and beyond, it’s time to give you some more information on our plans for our desktop browser. After yesterday’s Chromium update to Opera 15 stable (on Windows there will be one more update today), Opera 16 will be soon available in the Next channel (most of the team are having a break now it’s temporarily stopped snowing in Oslo). 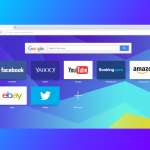 We said that we’re currently focussed on Opera Link, improved tab handling and themes. However, after listening to your feedback, the first thing we have done is to make sure to prioritize the work on native bookmarking functionality. Why we didn’t have it in the first place? Here’s a peek into some of the stats we collected to find out more about our users. We have seen also that quite often people do need Ctrl+D/Cmd+D functionality – just to store things so to be able to come back to them later. The result for many was actually several pages of bookmarks in the root folder, making them quite unusable if someone wanted to access them from the menu. That’s where Stash with visual indicator and fulltext search comes in handy. But we understand that removing bookmarks entirely for the people who actively use them is a big change, so we are going to build bookmarking functionality as a priority. I can’t give you a date, and it won’t be a clone of Opera 12, but I wanted to tell you that we are listening to you, and that I realize that not having bookmarks as people are used to makes it harder to switch to Opera, whether you are coming from Opera 12, or from any other browser. Previous article: The vision behind Opera 15 and beyondNext article: Opera 15 to be even better!